This is an excerpt from the post On AlphaGo, Intuition, and the Master Objective Function, by Jason Toy, founder of Somatic.io. For more, visit his blog. It is another great milestone in Artificial Intelligence that computers are now able to beat humans in the game of Go. The DeepMind/Google team came up with a combination of new algorithms that effectively reduced the search space of possible positions-1,000,000,000,000,000,000,000,000,000,000,000,000,000,000,000, 000,000,000,000,000,000,000,000,000,000,000,000,000,000,000,000,000,000, 000,000,000,000,000,000,000,000,000,000,000,000,000,000,000,000,000,000, 000,000,000,000,000,000 to be exact- to a much smaller number that a computer could work with. What I’m more excited about is that Deepmind/Google are publicly talking about intuition, and trying to build systems that sort of emulate it. In their blog post, they mention “The game is played primarily through intuition and feel”. They then go into detail on how they constructed a machine learning system that reduces the amount of positions the system needed to evaluate at each turn. Their system basically makes estimations of expected outcomes instead of directly calculating directed outcomes, thereby kinda sorta simulating intuition. Talking about this subject in relation to artificial intelligence has been a sore spot. Can intuition exist inside of a computer? The truth of the matter is we have no idea, people have been debating this since the beginning of computers and even much earlier with Descartes and others. Another core problem is the name and definition of intuition. 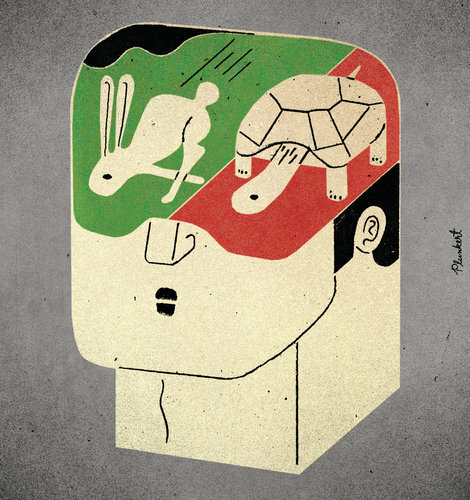 Should we call it intuition, emotion, gut reactions, lizard brain, or feelings? And, what exactly does that mean. We have been trying to objectively define this for a long time. There is a specific definition that I have been using for a while is based off one of favorite books- Thinking, Fast and Slow. System 1 is a machine for jumping to conclusions. It is a heuristic based system that reacts to incomplete information and stimuli fast enough to navigate in our world in real time given all the uncertainty. It gives answers that are typically good enough, but can make mistakes given the small amount of information it processes. Escaping an animal trying to attack us, swerving away from a car that suddenly stops, looking towards a bomb explosion, adding 1+1. Those are all examples of System 1 processing. System 2 on the other hand is a completely different system. It is a slow and deliberate system that does things like complicated math, answering tests, writing a novel. System 2 can override System 1 when it senses that the answer from System 1 is wrong. It is presumed to reside in our neocortex and as far as we know, only humans have System 2. It seems that humans and ALL living organisms have system 1. If we assume the System 1/System 2 combination is how our brains are working, then I would make the statement that we have already built an awesome System 2 in computers. All the current machine learning algorithms we build are based off logic and calculations which is what System 2 is all about. But System 2 cannot really exist by itself, it needs guidance. So all of these machine learning systems are always optimizing for a specific objective function. Depending on the algorithm and problem you are trying to solve, you use different algorithms and objective functions. 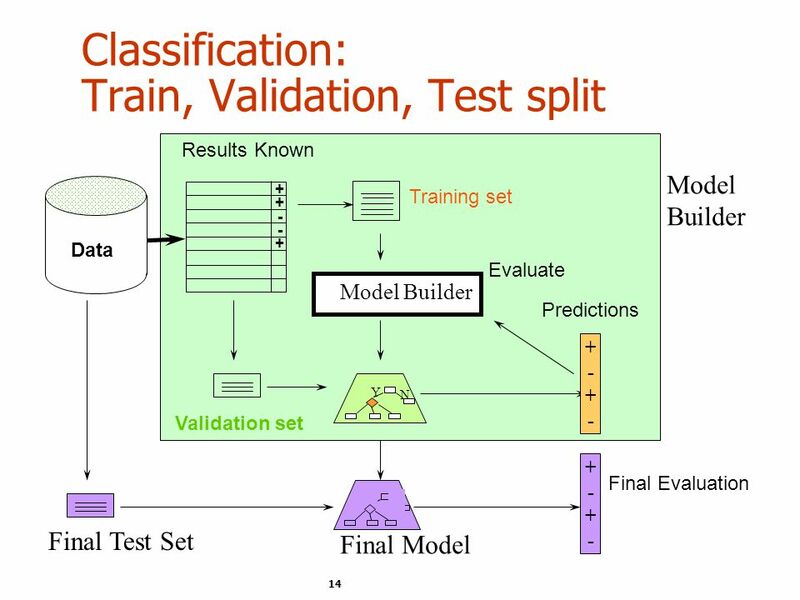 With classical machine learning applications like regression and classification, the algorithm is trained on training data. The objective is to have the machine get as many answers correct on a previously unseen validation set. On DeepMind’s video game system, they hook up the algorithm directly to the score of the video game and so the system is optimizing for winning in the video game. AlphaGo’s objective function is to win at Go, and that is it, it can’t do anything else. Notice how each of these machine learnings models have a single fixed objective function? And, what is the objective function of general living organisms? Is it to eat? To reproduce? To live as long as possible? To be “happy”? To achieve homeostasis? How about for a human? Is is the same as other living organisms? If living organisms have a single objective function, it would seem like they all have different objective functions. And what is my objective function as I write this blog post? I have the overarching goal of wanting to publish my thoughts on AlphaGo. As I’m writing this, my intuition on the direction of how I should write this keeps changing. How do we put this kind of intuition into a computer- Think about what you do in your daily life? How do you go about deciding what to do next? If we want to get to general artificial intelligence,I believe that a heuristics-based reaction system, or System 1, should replace the objective function of a machine learning algorithm. In fact, they are the same thing. For more, check out the full post On AlphaGo, Intuition, and the Master Objective Function.